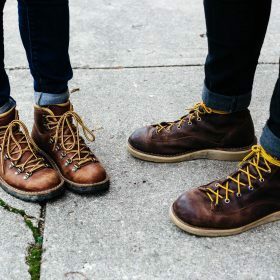 Are you looking for a cute but practical pair of shoes to go hiking in or you are just looking for a pair of shoes for running your everyday errands. You have come to right category as here you are able to search for the exact pair of shoes you are looking for. You can narrow down your search using the filters for material, size and colour. There's nothing better than throwing a pair of jeans with a casual shoe to maximize comfort for the everyday look. Low Hiking Boot in Animal Print,Neutral, . X Timberland Velvet Hiking Boots in . Timberland Velvet Hiking Boots in . Suede & Eco Martis Stretch Hiking Boots in . Leather Soul Rockstud Hiking Boots in . X Timberland Velvet Hiking Boots in Neutrals.